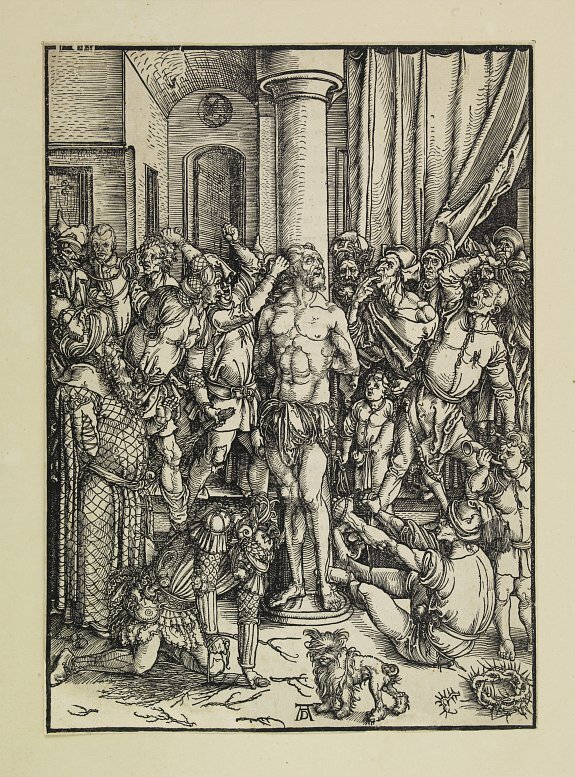 Old map by DÜRER -The mocking of Christ. Title: The mocking of Christ. Size: 15.0 x 10.8 inches. Condition: Woodcut. Paper good. Restored,a piece of paper(25 x 100mm) set in in the lefthand bottom corner. Very professionally done. The mocking of Christ. by A. Duerer. (1471-1528) From the "passion" series. B.No.8. 2nd state. On the back is text in 16th.century lettering.